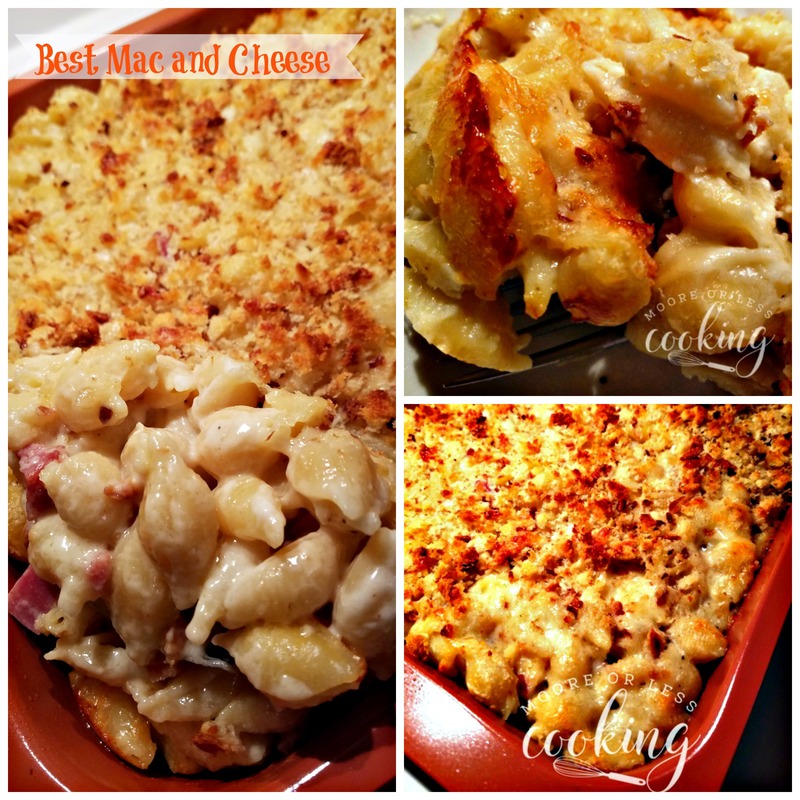 Best Mac and Cheese: tender pasta shells filled with a creamy cheesy sauce, chunks of ham and a buttery crunchy top! 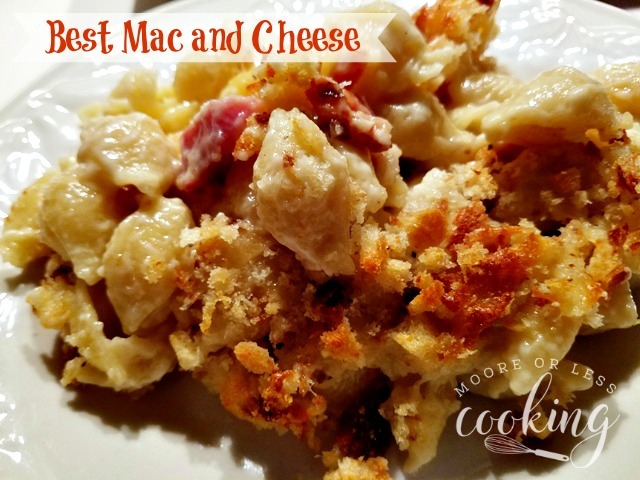 My Grandma always made Mac and Cheese after the holidays with leftover ham. It’s the best mac and cheese that I have ever had. 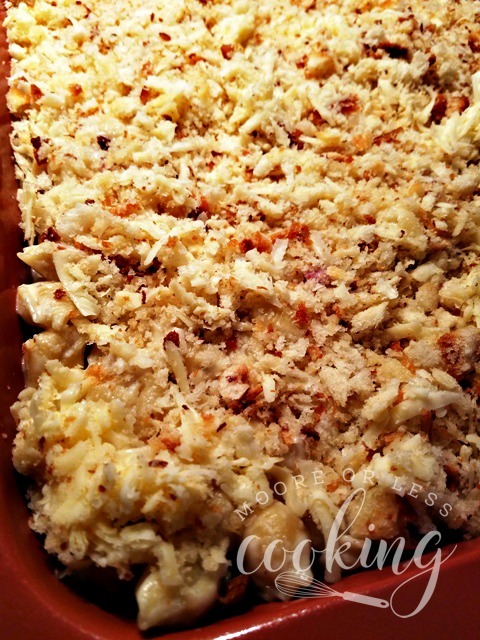 I recreated Grandma’s recipe using Cabot Sharp Cheddar and buttery bread crumbs. 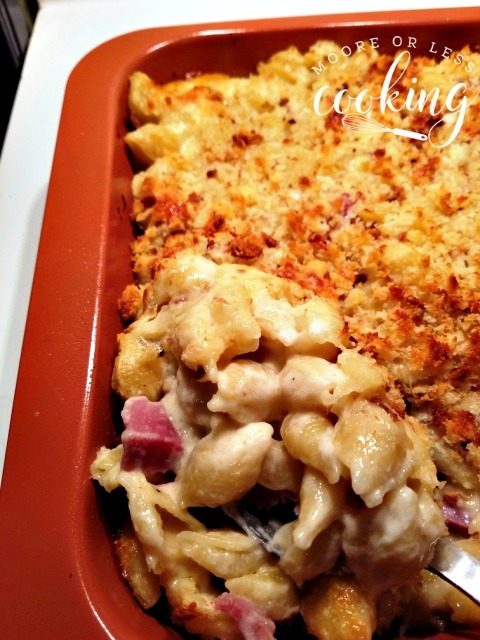 This is a delicious casserole of cheesy Mac and Cheese with ham and a crunchy topping. 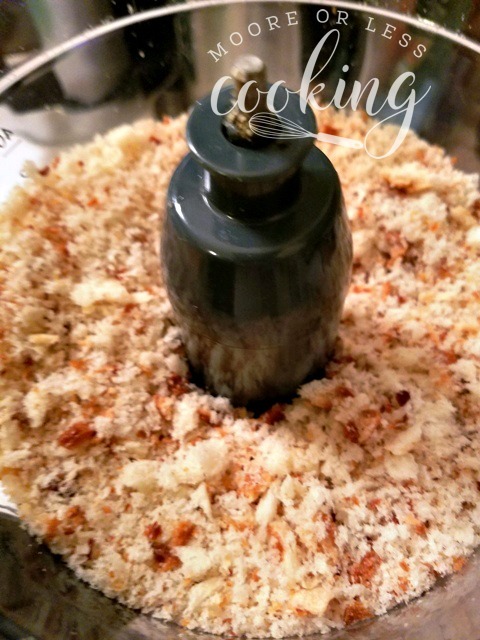 Pulse bread in a food processor until it looks like crumbs. Make a bechamel sauce, add a third of the cheese to sauce. 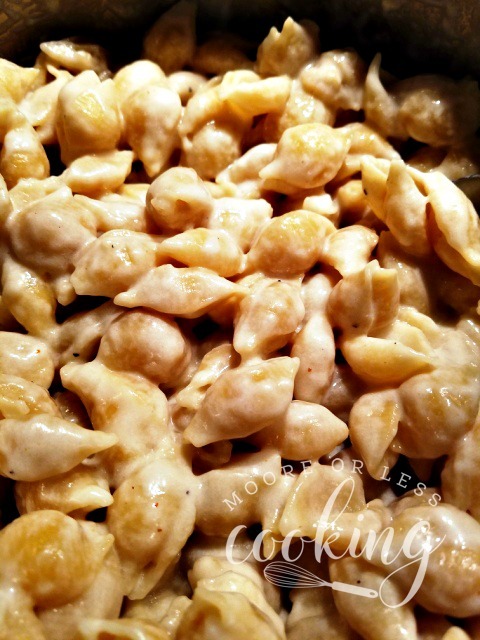 Pour pasta into cheese sauce, stir until pasta shells are covered with cheese sauce. Spread one-third of pasta mixture over bottom of a prepared baking dish. Scatter one-third of remaining cheese on top. Scatter ham chunks over pasta mixture. Spoon another one-third of pasta mixture and add another one-third of cheddar. Top with remaining pasta. Mix remaining cheese into breadcrumbs, and scatter evenly over top. Bake 25-30 minutes or until golden on top and bubbly. Let stand for 5 minutes before serving. It will be easier to serve. Preheat oven to 375°F. Butter 14-by-10.25-inch or other shallow baking dish or coat with nonstick cooking spray and set aside. 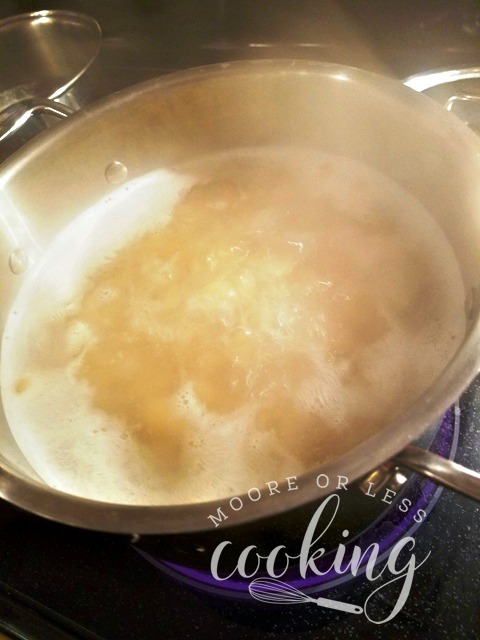 Stir pasta into a large pot of boiling salted water; cook for 5 minutes after water returns to a boil, or until outside is cooked but the center is still firm. Immediately drain in colander, and rinse under cold water; set aside. In a saucepan over medium-high heat or in microwave on high power for 20-second intervals, heat milk to just below a simmer. In the pot you used for pasta, melt butter over medium-low heat. Pour 2 tablespoons of butter into bowl, add breadcrumbs and blend together thoroughly; set aside. Reduce heat to low, add flour to butter remaining in saucepan and whisk over heat for 2 minutes, being careful not to let it color. Add milk in small amounts at first, whisking until smooth after each addition; continue stirring until sauce thickens and comes to simmer. Cook, stirring often, for about 3 minutes. Remove from heat and whisk in pepper, nutmeg, Cholula Sauce and half of cheese. Stir in drained pasta. Spread one-third of pasta mixture over bottom of prepared baking dish. Scatter one-third of the remaining cheese on top. Scatter ham over pasta. Spoon another one-third of pasta on top and add another one-third of cheese. Top with remaining pasta. 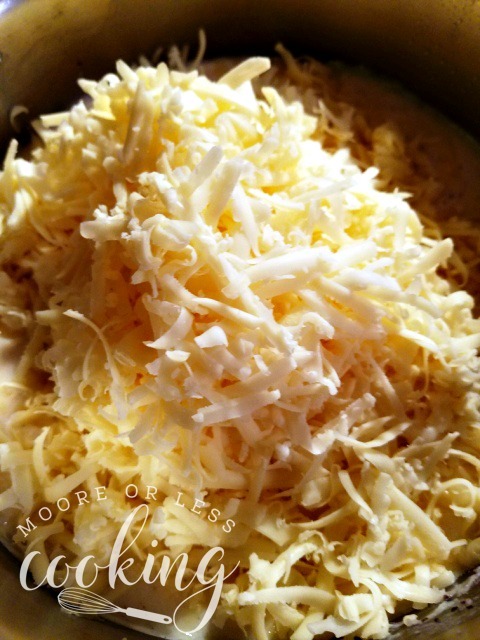 Mix remaining cheese into breadcrumbs and scatter evenly over top. Bake uncovered for 25 to 30 minutes, or until golden on top and bubbling throughout. Let stand for 5 minutes before serving. Pure comfort food! Your version looks Ah-mazing! Can’t wait to make it. I love mac & cheese and yours looks absolutely perfect. I haven’t made my menu yet for this week (I’m super behind); I think this needs to be on the menu! Thanks for the recipe. Sounds really perfect to me!!! We are HUGE mac fans! Cant wait to try this one! Surely its going to be a hit! I love everything about this! The cheesy goodness, the ham, and that crunchy topping! Of my~! 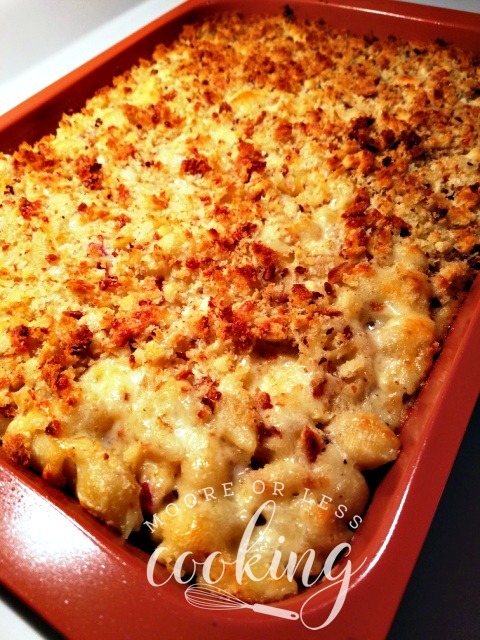 Hard to tell which I love the most…..Cabot cheese or that breadcrumb topping that includes Cabot cheese! This does look like the best I’ve ever seen. I love getting a close look at family favorite recipes! 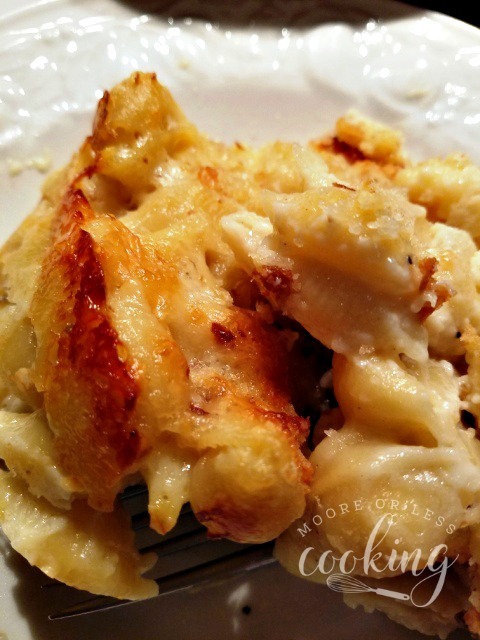 This mac and cheese is creamy dreamy! Added crumb texture looks wonderful! I like the idea of the crunchy topping. Such comfort food.